When the zombie apocalypse occurs, survivors will need to be able to think outside the box when it comes to defense. 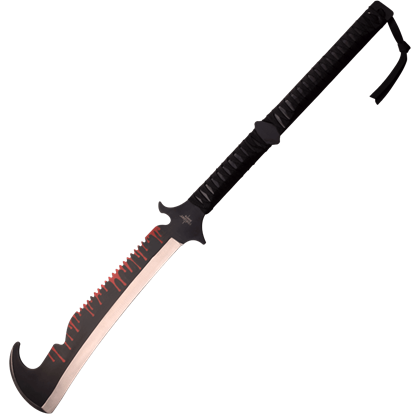 We carry a wide array of unconventional zombie weapons to fight off the shambling hordes. 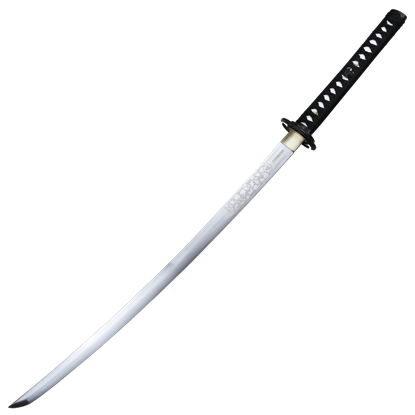 Our inventory includes pieces like zombie spears, zombie baseball bats, zombie hammers, zombie maces, and zombie katana. 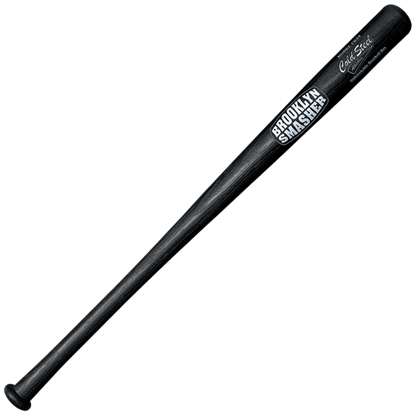 Our tactical bats are great for smashing zombie heads, while throwing spears work great for taking out the undead from a distance. 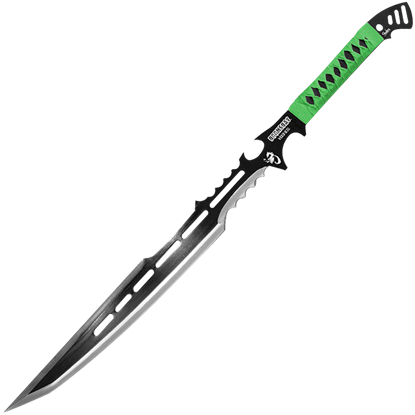 Our biohazard katana and other ninja swords will allow you to use your blademaster skills while also serving as great collectible swords in the meantime. 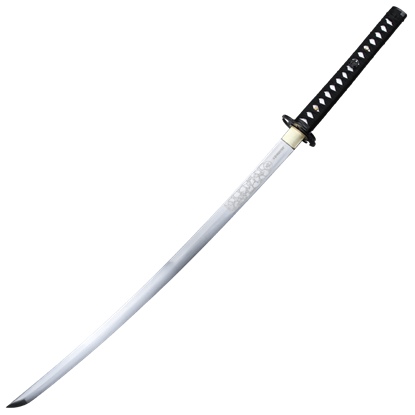 We even carry Michonnes katana from the Walking Dead to inspire you with her fighting spirit. A number of these items show off eye-catching designs with blood spatter graphics, camo prints, and matte black finishes that are sure to appeal to survivors. 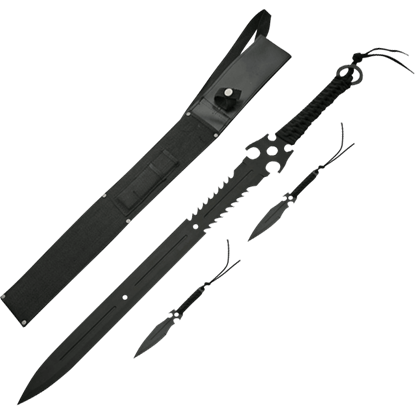 Browse these non-traditional zombie apocalypse weapons to find the perfect ones to add to your home arsenal. 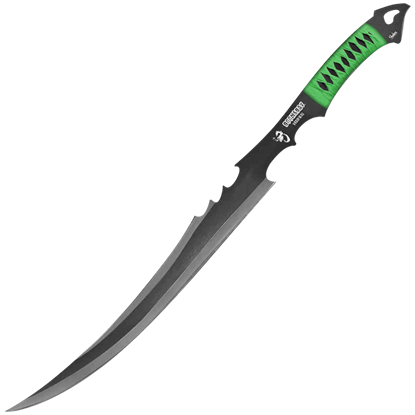 This bloodthirsty fantasy sword has recently fed in battle, judging by the eye-catching appearance of its painted blade. 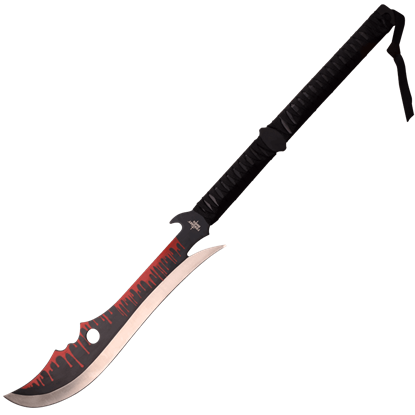 The Blood Drip Fantasy Short Sword makes a stunning decorative weapon to showcase in your home. 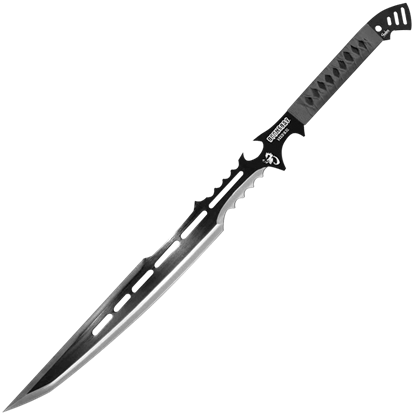 This wicked fantasy sword looks as though it has recently seen combat with the bloody pattern painted across its blade. The Blood Drip Hooked Fantasy Short Sword makes an excellent ornamental blade for displaying. There is an eternal debate in baseball as to which bat is better, ash or maple. In respect to that argument, Cold Steel has come up with the Brooklyn Crusher, an athletic accessory that beats both thanks to its unbreakable form. Whether you are in your home or traveling in your car, we can all appreciate the peace of mind brought about by improved security. 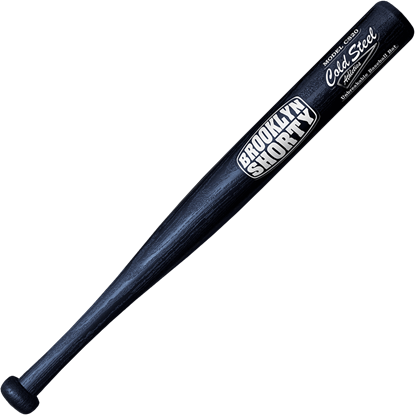 You can achieve this feeling when you protect yourself with the Brooklyn Shorty Baseball Bat by Cold Steel. 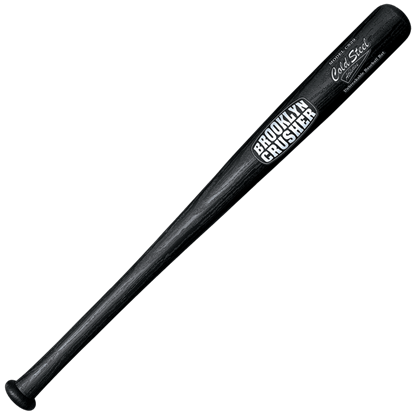 There is an eternal debate in baseball as to which bat is better, ash or maple. In respect to that argument, Cold Steel has come up with the Brooklyn Smasher, an athletic accessory that beats both thanks to its unbreakable form. The best zombie hunters defeat their undead foes before they are even aware of their presence. The Dead Walker Skull Sword and Throwers shows off a striking skull cutout design in each of the three blades in the set.